Exposure of higher plants to irradiances in excess of those which can be dissipated by photochemistry or other mechanisms causes loss of photosynthetic performance (1). 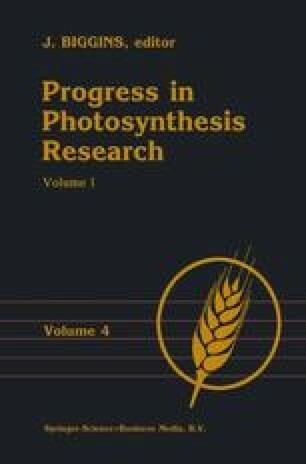 The tendency for this process (photoinhibition) is increased if the light intensity is in excess of that in which the plants are grown, if the CO2 level is lowered, if the temperature is decreased or if other stresses such as chilling or water stress are superimposed (2), suggesting that photoinhibition is a major negative factor in plant productivity even when irradiance is moderate (3). Studies of photoinhibition have so far used leaves and isolated chloroplasts. Here we describe photoinhibition in isolated protoplasts with a view to combining the presence of a more complete and stable metabolic system with the advantages of in vitro manipulation.